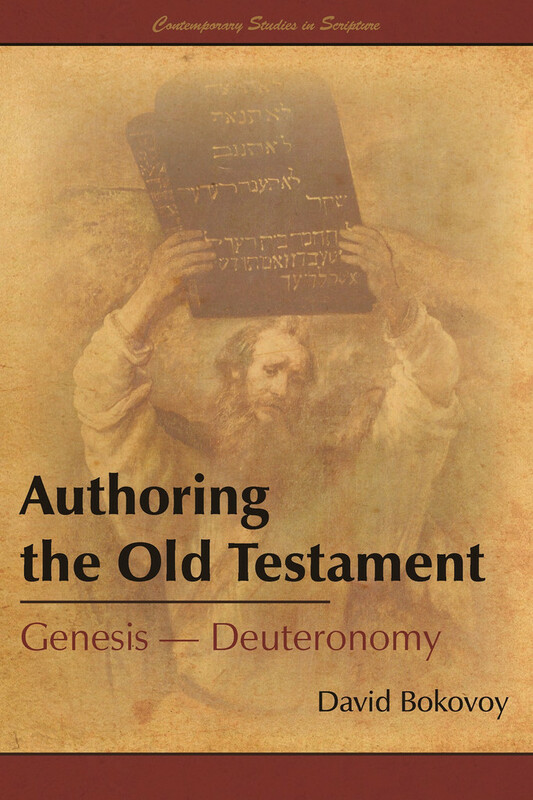 Review of David Bokovoy, Authoring the Old Testament: Genesis – Deuteronomy (Salt Lake City: Greg Kofford Books, 2014). As Darwin’s concept of evolutionary adaptation through natural selection has become central to modern evolutionary theory, so…historical criticism provides the foundation for modern scholarly assessments of the Bible. 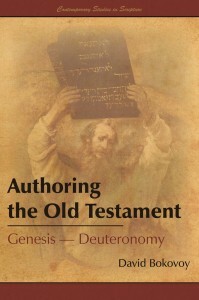 – David Bokovoy, Authoring the Old Testament: Genesis – Deuteronomy (pg. 133, ebook). When I read this quote, I automatically thought of evangelical scholar Bruce Waltke’s resignation from Reformed Theological Seminary following his remarks about evolution. “If the data is overwhelmingly in favor of evolution,” said Waltke, “to deny that reality will make us a cult: some odd group that is not really interacting with the real world. And rightly so, because we are not using our gifts and trusting God’s Providence that brought us to this point of our awareness.” I thought of the pseudoscience and poor biblical literacy that tends to manifest itself in Sunday School and Institute classes. I began making mental divisions between myself and “them.” I was a seeker of truth. I was a “foot soldier in the ongoing march of progress” (to borrow Nathaniel Givens’ description). But as I continued reading, I realized exactly why I couldn’t have written this book (aside from my obvious lack of credentials in the field and publishing contract): David Bokovoy wants his reader to learn and to be edified by what they have learned. He wants Latter-day Saints to walk away with their assumptions challenged, but their faith strengthened. He wants non-LDS readers to walk away with a new view of Mormon scripture and tradition and thus a better appreciation for them. The book is written as less of an argument (even if the evidence presented within it could be used to bolster an impressive one), but as an invitation. David’s is not only a work of scholarship, but one of passion. And it is brimming with charity toward his readers. This approach allows readers of conflicting views to each benefit, from the staunchest atheist to the most conservative Mormon apologist. The first five chapters focus on the Documentary Hypothesis itself, breaking it down in a highly accessible way. The final five focus specifically on Latter-day Saints and their holy books (i.e. the Book of Moses, the Book of Abraham, and the Book of Mormon), providing readers with an informative paradigm by which to approach scripture, revelation, and “translation.” Chapter 1 begins by introducing readers to the contradictions found within the two creation stories of Genesis 1-3. By doing so, readers are challenged to take something so familiar, yet think critically about its reading. This serves as a means of introducing what the Pentateuch actually is, the Bible’s history as a “privileged” text, and the rise of European rationalism along with its effect on traditional readings of the biblical texts. In Chapter 2, David begins to extract different sources from the stories of the Flood and the selling of Joseph into Egypt. David actually provides the scriptural text, while literally highlighting the different sources. This allows the reader to see and read the sources for themselves, making David’s helpful walkthrough both easier to understand and more palatable. In Chapters 3 and 4, we are introduced to the actual sources and their dating: P (Priestly), J (Jawhist/Yahwist), E (Elohist), and D (Deuteronomic). These chapters are critical as they provide the diverse and sometimes contradicting theologies of the sources as well as the historical context (via dating) for their production. By understanding the sources’ different points of emphasis, views of God, important figures, and understandings of Israel’s relationship with God, readers can begin to make sense of the often foreign biblical texts. This leads directly into Chapter 5, which focuses on the Mesopotamian influence on the Pentateuch. For me, this was one of the most exciting and informative chapters. By recognizing the various cultural and political influences on the biblical texts, the religious principles within the stories come alive. 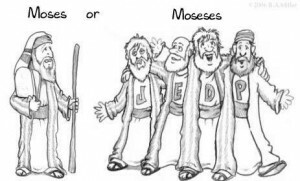 Not only is one able to better interpret the biblical texts by seeing the similarities between Mesopotamian sources and that of the Israelites, but also by noticing the differences. This is fruitful for both personal study and teaching situations. David approaches this difficult subject in a very strategic way; a way that is charitable toward his (largely) LDS audience: he links the DH to Mormonism’s scriptural and prophetic tradition. David points out that Joseph Smith was also skeptical (like his rationalist culture) regarding the supposedly harmonious nature of the Bible. He uses the Book of Mormon as “an analogy for what scholars believe is happening in the Bible. According to its claims, the Book of Mormon itself is an ancient religious work produced by Israelite authors via a variety of originally separate documentary sources” (pg. 140, ebook). Drawing on the work of Danel Bachman, David writes, “Perhaps for Latter-day Saints, one of the best examples of an amalgamated scriptural text that accords with the basic view of the Documentary Hypothesis is Doctrine and Covenants 132…[T]he Prophet’s revelation on plural marriage is in reality three different documents that have been merged together to create a single literary text” (pgs. 145-146, ebook). David even points out the Mesopotamian influence regarding humans as servants to God in Mosiah 2:1. All this leads to what I consider to be the heart of the book: Ch. 6: “Reading the Pentateuch Critically as a Latter-day Saint.” Here, David makes his case for a marriage between the DH and Mormonism, pointing to things like the School of the Prophets, Hebrew instruction under Joshua Seixas, and Joseph Smith’s teachings about embracing all truth. “The sources that appear in the Pentateuch were written by Israelite authors trying to explain their history through theological constructs and ancient traditions,” writes David. “This procedure can be a bit messy. Yet given our own history, we as Latter-day Saints should allow room for messiness in the production of scripture” (pg. 570, ebook). The final chapters on Mormon scripture and its relation to the DH are fascinating. 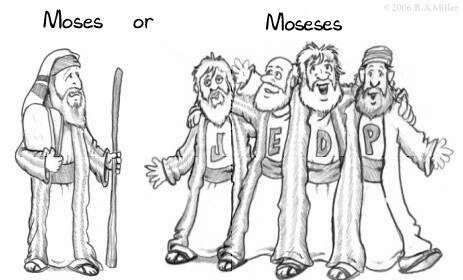 A secularist can find value in David’s description of the Book of Moses and Book of Abraham as modern pseudepigrapha, while an apologist will find plenty of material for ancient origins. While there is room for debate regarding David’s approach to restoration scriptures, that’s the point: to think critically about these texts. David does not offer his view as the final word, but as a possible paradigm. And it is a valuable one at that. The work is empirical, but not cold; scholarly, yet humble. These attributes will make the work more attractive, the evidence more compelling. As Christian author and historian John Dickson has written, “Real persuasion is invisible in its artistry; it just moves people…Whether in the military, business, sports or academia, humility is part of what moves people…When people trust us, they tend to believe what we say, and few are considered more trustworthy than those who choose to use their power for the good of others above themselves.” David has certainly used his expertise for the good of others in this case. David and Greg Kofford Books have done Latter-day Saints a great service with this publication. I hope to see its influence in future Sunday School, Institute, and Seminary classes Church wide. 2. See his “Beware Instrumental Beliefs,” Times and Seasons (Nov. 4, 2013): http://timesandseasons.org/index.php/2013/11/beware-instrumental-beliefs/. I provide some scientific backing for his observations in “Scientific Belief vs. Scientific Literacy,” Difficult Run (Jan. 9, 2014): http://difficultrun.nathanielgivens.com/2014/01/09/scientific-belief-vs-scientific-literacy/. 3. Danel W. Bachman, “New Light on an Old Hypothesis: The Ohio Origins of the Revelation on Eternal Marriage,” Journal of Mormon History 5 (1978): 19-32. 4. I had no idea that it was originally “Man of Council” (changed to “counsel” in 1878 by Orson Pratt) in Moses 7:35. I nearly fell over. This entry was posted in Book Reviews and tagged Documentary Hypothesis by Walker Wright. Bookmark the permalink. Excellent review! I’ve been thinking about picking up a few good commentary resources for the Old Testament, and Bokovoy’s sounds like it might be a great choice. I was already looking forward to reading David’s book. After reading Walker’s review, I’m even more excited. Its time for this sort of scholarship to work its way into the church — without fearing or or trying to explain it away, IMO. I appreciate that. As for the kind words, you deserve them.